Rock and Roll Hall of Famers Heart are headed back on the road in 2019 with their Love Alive tour. Produced by Live Nation, the 39-city summer tour will kick off on July 9 at Hollywood Casino Amphitheatre in St. Louis, Mo. Love Alive will hit Chicago, Atlanta, Houston, Denver before closing out in Los Angeles on Sept. 9 at Hollywood Bowl. 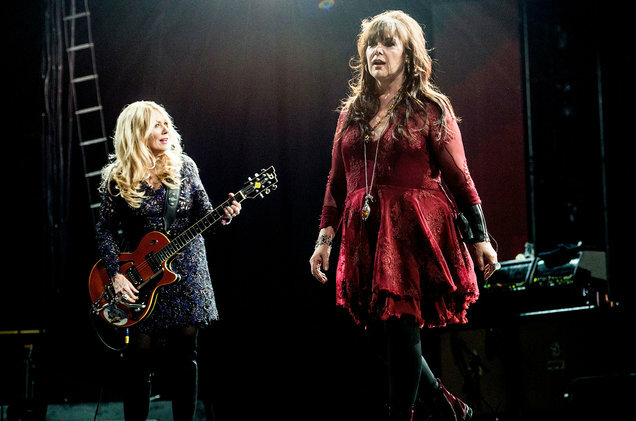 Ann and Nancy Wilson will be joined on tour with a stellar lineup of special guests including fellow Rock and Roll Hall of Fame inductees Joan Jett & The Blackhearts and Grammy winners Sheryl Crow and Brandi Carlile. “I think this year is a good year to show the collective impact of some powerful women in music. We would usually steer clear of the female-centric concept, but in the light of current events it seems like the right statement at the right time,” said Nancy Wilson in a release. Also joining Heart this summer are Elle King and Lucie Silvas for select dates. Love Alive will mark Heart’s first tour in three years. The Wilson sisters took a break to pursue other musical endeavors.